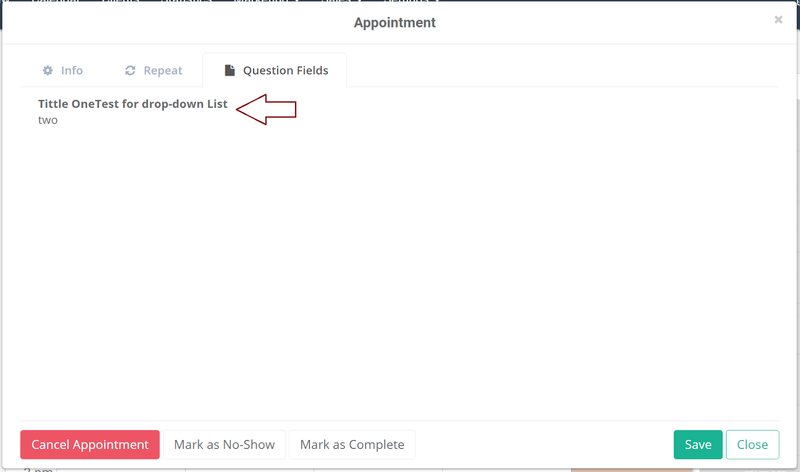 We're excited to announce new feature, Question Fields. 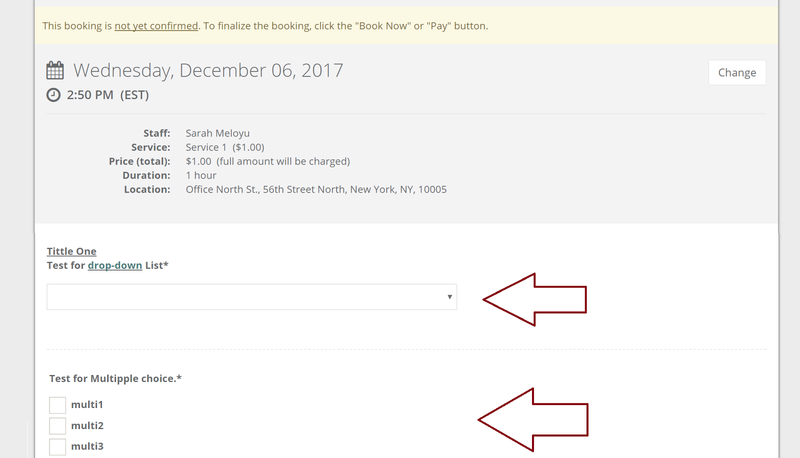 You can now add different types of custom question/selection fields to your mini website booking page. Clients can then enter their answers or selections at the time of the booking. Let’s examine one example to better understand how this system works. Let's create a multiple choice type of question. Navigate to Settings/Preferences/Question Fields and click ‘Add New Field’. 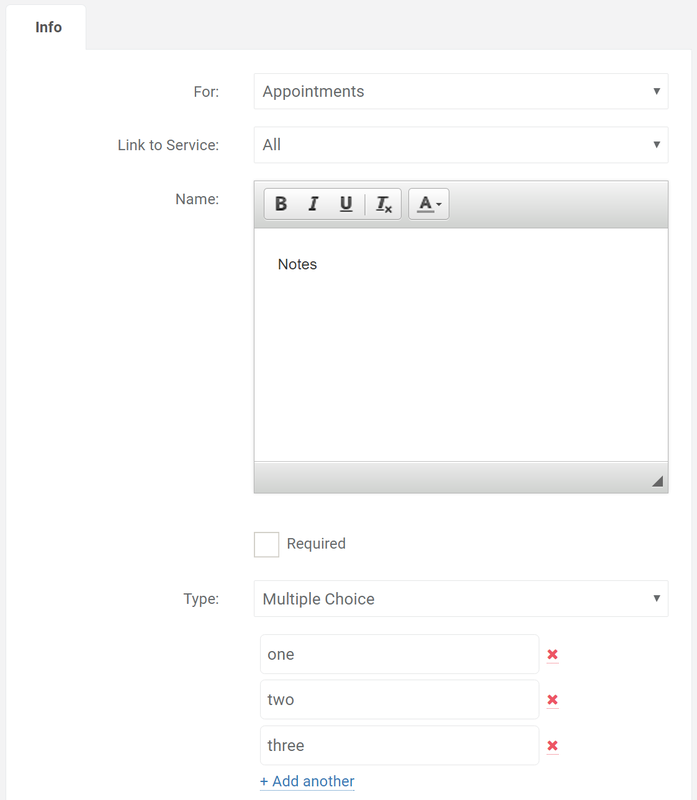 In the ‘For:’ option select if this question field is for Appointments or Classes. In the ‘Link to Service:’ option select to which service this question links to. This option is very useful in case you want to have different questions for different services. Same thing applies to Classes if in option ‘For:’ you selected Classes. In the ‘Name:’ field enter your question or text. In the ‘Required’ checkbox, select if this question field must be answered or if it’s optional. In the ‘Type:’ option select the type of question field you’d like. Click ‘Save’ to save settings. Now, let’s take a look at the booking mini webpage where we are about to book an appointment. You can see custom questions below. After we’ve made an appointment, let’s go back to our Calendar tab. 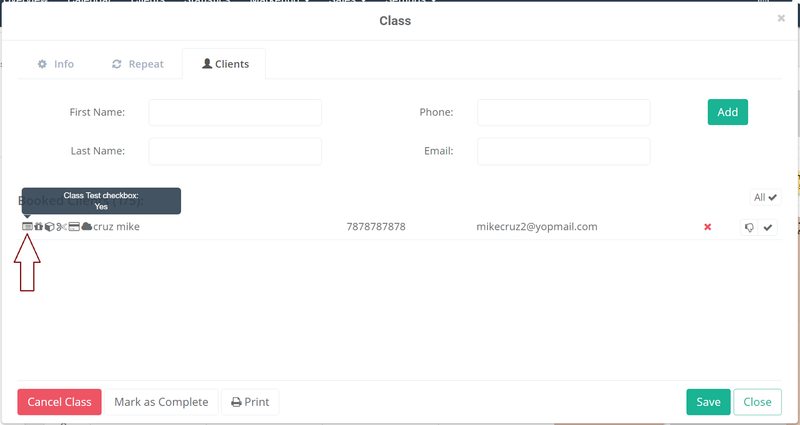 If client entered anything in the question field(s) at the time of the booking, appointment slot will have a new icon. Click on the newly created appointment. Select ‘Question Fields’ tab, and our multiple choice selection is there.